Today’s from page splash on The Observer front page explains how the ‘pay to stay’ proposals in the housing bill currently in front of the Lords will force thousands of ‘hard working families’ out of their council homes. Of course that is not news to Unite LE1111 (housing workers) branch members who have been campaigning on the issue, but it is good to see it on the front page. Mainstream media are increasingly picking up on the attack on social housing, see for example this in the Mirror recently. The Observer article highlights the recent Savilles report, which we reported last year here, showing that 60,000 households across England could be forced out of their homes by this proposal. 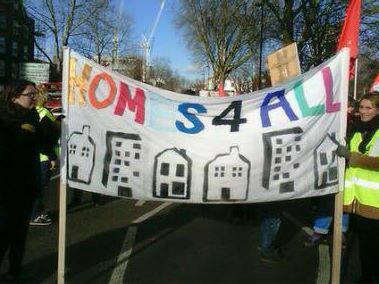 The report found that 214,000 households across England will be hit by the policy and that in London most of the 27,000 households affected will be unable to afford to rent privately or buy in the same area. How many Unite members will find themselves with impossible rent demands as a result of this crudely anti working class policy? Currently ‘pay to stay is intended to be voluntary for housing associations but it is clear that many intend to take up the proposal in some form. This bill needs to be thrown out whole. But it is significant that the cross bench peer and Peabody chair Bob Kerslake has called on ministers to put the plan on hold so that pilot schemes can test it. Sections of the establishment sense that there could be a massive fight back against the proposals in this bill. Even the Tory controlled Local Government Association has attacked ‘pay to stay’ as unfair to hardworking families and a disincentive to work. The overall impact of the bill, if carried through, would be the destruction of social housing as we have known it has never been more keenly needed. Many housing associations are cutting staff and services for what they see as a marker orientated future despite massive surpluses in the sector. 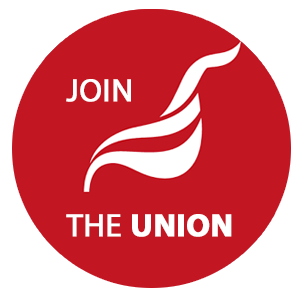 We will work with the wider union and other campaigns to defend jobs and services in housing and to fight for unites housing policies which offer a way out of the crisis. Our branch meeting this Tuesday will discuss fighting the hosing bill and keep an eye on the events section of this website for more information on campaigns and the news section for latest developments. Stop press Monday 8th February: Savilles have issued a statement today qualifying the figures used by The Observer and other news outlets. They correctly point out that the posible tapering of 'pay to stay' in the council sector and the possibility to opt out or devise different systems for houisng associations have comlicated the picture since their figures were intially issued. Of course the fact that Parliament is being asked to approve a bill that will actually pass a huge number of powers to the minister undermines Parliamentary scrutiny does make an assessment of the impact of policies more difficult. The extensive deregulation of housing associations, which enables them to switch the tenure of their stock or dispose of it without consent, also introduces an unpridictable impact. Many key features of the bill have been introduced as amaendments at a relatively late stage and with very limited opportunity for debate. Sorry I have not been able to get along to the meetings. I wish to bring up the very serious matter of the LHA Maxima policy whereby from April 1 2016 all new social housing tenants will be subject to the maximum LHA amount for their circumstances from April 2018. This policy will bankrupt refuges, hostels, residential care, supported housing etc as this affects all new tenancies from April 2016 and there are no exemptions from 18 year olds to pensioners all will be affected especially outside London where the maximum amount of Local Housing Allowance is very low. 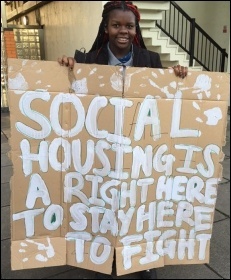 SPeye Joe has done a marvellous job of highlighting this unbelievable policy and all housing workers need to read and digest what he has to say about the future of social and especially supported housing - https://speye.wordpress.com/ This matter needs to be brought up by the Housing Workers branch if it has not been already and a campaign against this needs to be fought.